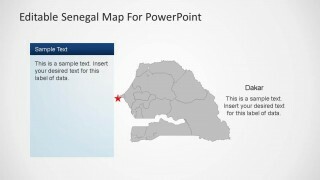 Senegal Editable Map PowerPoint Template presentation contains editable maps, political and outline, of the Republic of Senegal. 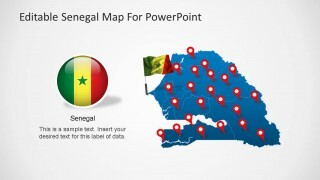 Senegal is located in the Africa continent and it borders with the Atlantic Ocean to the west, Mauritania to the north, Mali to the east, and Guinea and Guinea-Bissau to the south. 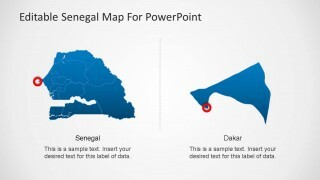 Senegal’s Capital is Dakar, the city where the famous Rally. 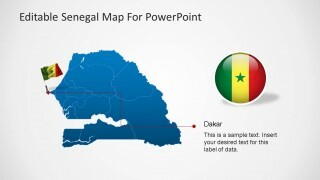 The Senegal Editable Map PowerPoint Template provides a slide marking Dakar with a star, in order to identify the capital. 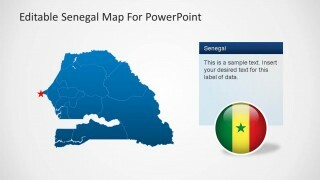 Each slides contains a Senegal Map shape created as a composite of individual states, which are PowerPoint objects. 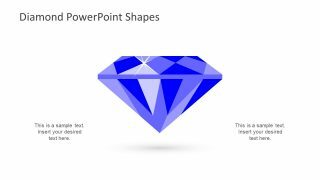 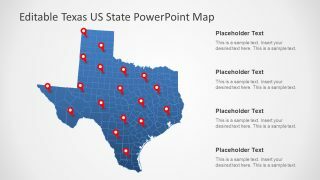 This structure enables the user to customize each state individually, and use it in different presentations. 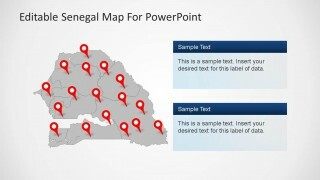 The Senegal Editable Map PowerPoint Template layout makes it easy for the user to create a lecture or presentation containing specific geographical references, as it provides GPS marker icons to mark locations. 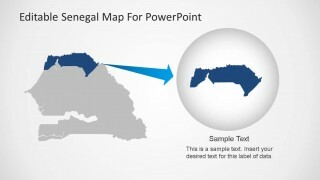 Each slide is themed according the need, it has grey and blue background layouts, with text boxes of the same palette. In order to identify the country not only for the outline, the Senegal Editable Map PowerPoint Template provides flags icons that can be places all over the presentation. 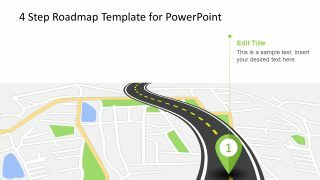 When referring to a specific state, make use of the highlighting slide, where the user can place the desired state and edit the shadow to reference it. 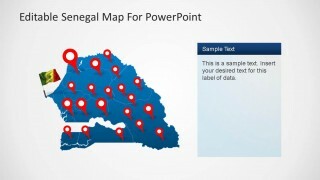 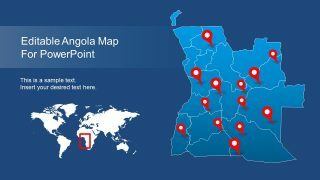 Create outstanding presentations with the Senegal Editable Map PowerPoint Template, and captivate your audience with this professional Maps.